Maurie is a communications executive with extensive experience in media relations, digital communications, marketing services, corporate strategy, brand development and crisis management. For 13 years, she served as Senior Vice President and Chief Communications Officer of Conde Nast. 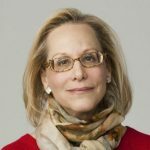 Maurie has led public relations and communications teams for the New Yorker, Vanity Fair, ABC News and Warner-Amex Satellite Entertainment Company.